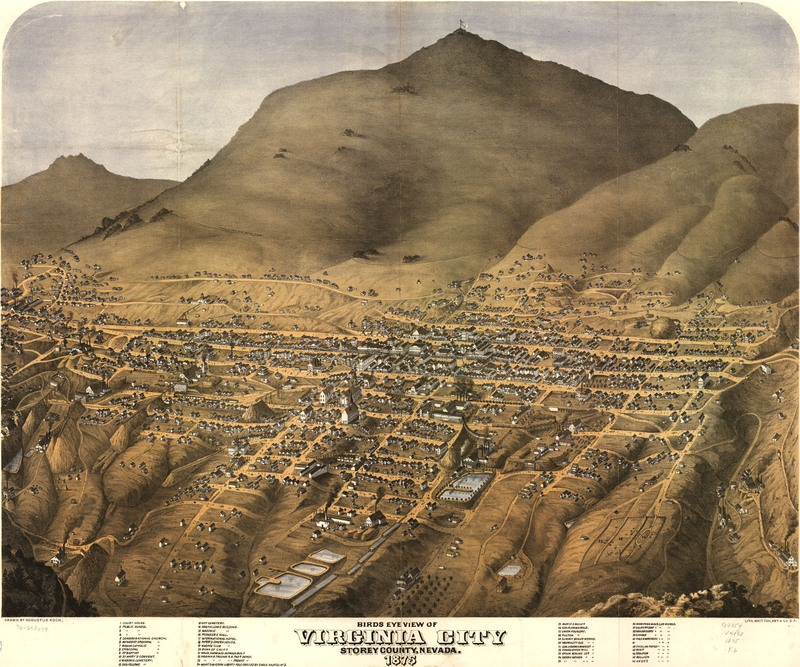 Augustus Koch's birdseye map of Virginia City, Nevada in 1861. 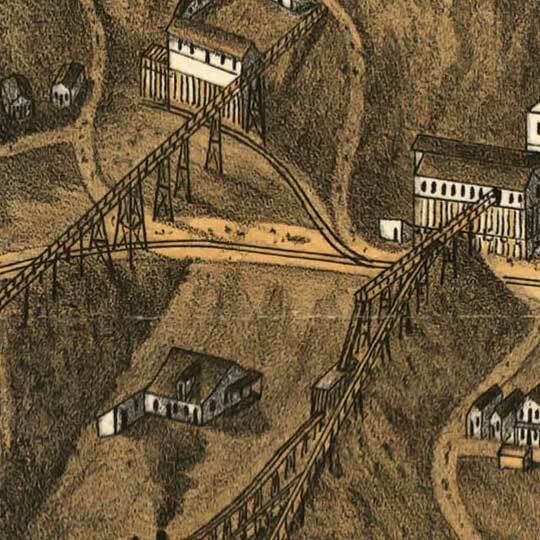 Koch's birdseye map of Virginia City, Nevada [gmap] in 1861. For more maps and images from this period in the region's history, visit the Nevada Historical Society.